We offer a comprehensive range of medical cover for large festivals and gatherings. The complex requirements of festival medical cover requires a multi-agency approach in which medical care is just one element. 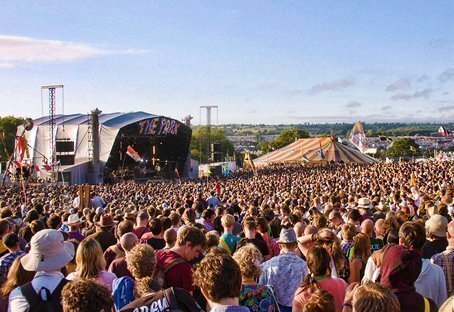 The attendees of a festival are generally a high risk population to an event that has the potential requirement of primary, through to emergency care. Historical data allows an initial risk assessment to be formed, but each event has to be considered in the present context, geographical location, demographic of visors, and accommodation plans. Typical plans will include our presence in a multi-agency control room, an on-site management structure, a primary medical centre, satellite medical centres, land-based ambulances, stage-side medical response, and a twenty-four hour rota to ensure contiguous cover at your event. You can download our Pre-Event Assessment Form, fill in the details digitally and attach it to the submission form at the bottom of this page; one of our experts will be in touch as soon as possible to discuss your event cover. Transporting patients on the public highway requires lawful regulation by the Care Quality Commission. Your patients are insured and legally transported when cared for with ICM. This enables patients to receive Gold-Standard analgesia (pain relief), without which the Misuse of Drugs Regulations (2001) would be unlawful. We take guidance on best care and practice from national guidelines and evidence based practice. Our clients compete in a 2.4m swim, then cycle for 112 miles, then run a full marathon. The Outlaw Triathlon pushes people to the limits of there physicality. ICM have partnered with us for 5 years now, and we hope to continue in our safe partnership on this, and other events.